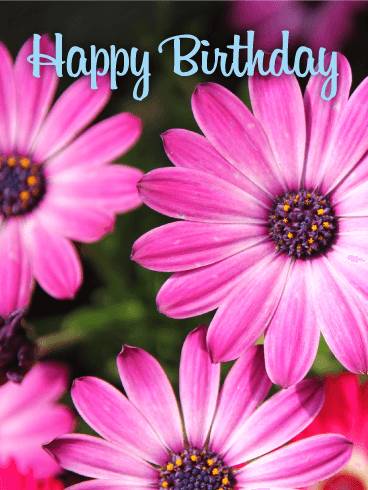 These lovely Gerbera flowers will add a special moment of joy to someone's life on their birthday. These charming flowers boast a beautiful shade of orange that perfectly frame a caring message of love, success, and happiness. What a thoughtful way to wish someone a happy birthday. 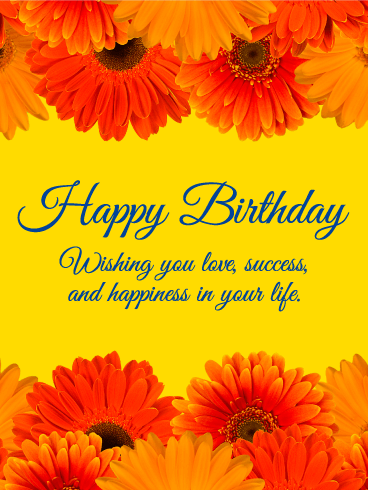 The bright happy yellow background is the final touch that makes this birthday card design so successful, and worth sending to the person you care about the most. 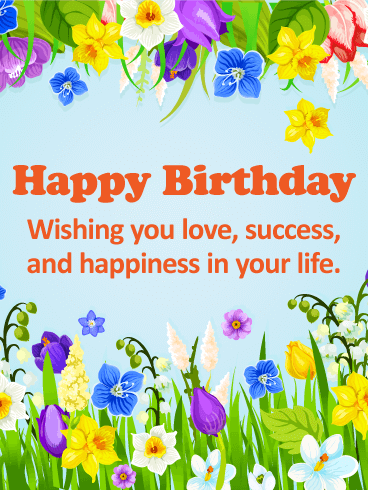 Happy Birthday - Wishing you love, success, and happiness in your life. 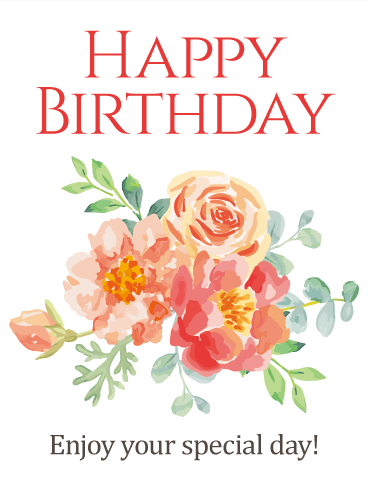 What better way to tell your best friend 'happy birthday' with this elegant and beautiful watercolor birthday card. They will be in awe by the elegance and grace of this thoughtful sentiment on their special day. This colorful flower garden will reflect the lively beauty of your friends and family. They will be pleased to find this birthday card in their inbox from you on their birthday. Send over this virtual flower garden to tell them how much they mean to you today. 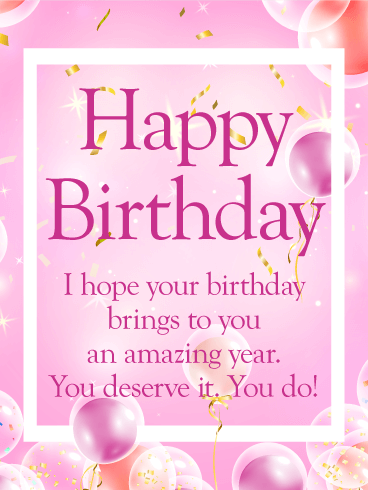 Looking for an eye-catching birthday card, well you just found it! The large bright pink Aster flowers against the dark green background are so beautiful it's hard to look away! 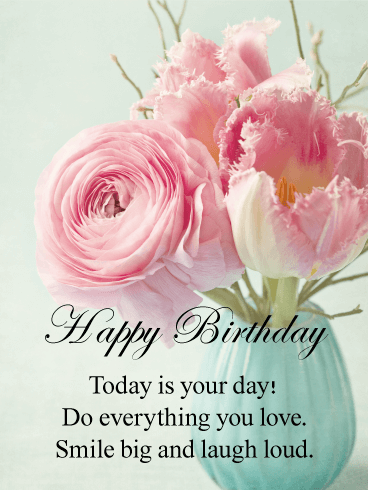 The light blue happy birthday message is placed in the perfect location, keeping the focus on the flowers. 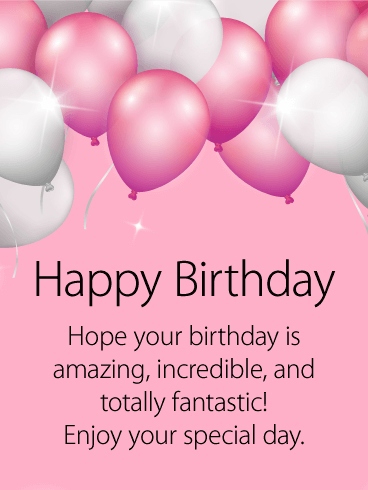 Be sure to send this birthday card out today so that you may wish someone a happy birthday in the best way. The perfect birthday card for a long distance family member. 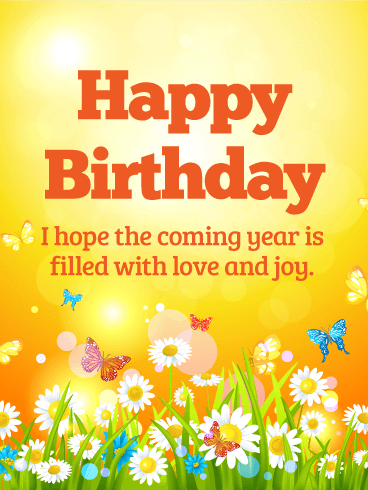 Your friends and family will love to hear from you and they will know you are thinking of them all year round when you wish them a Happy Birthday with this birthday card filled with good wishes and joyful butterflies. 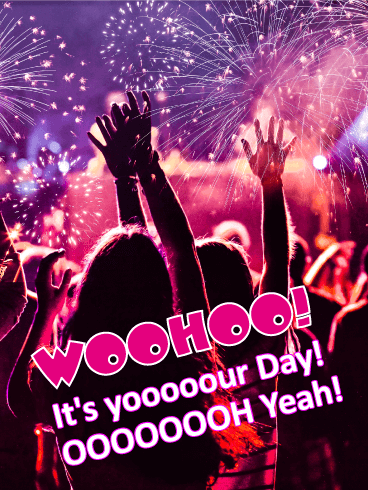 The sillier the funny birthday card, the more smiles and laughter you can bring to your loved one's day! 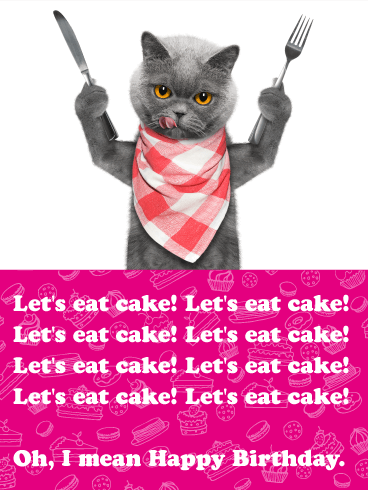 Everyone knows that cake is the best part of any birthday celebration, so this playful Funny birthday card is a great way to honor your loved one's special day. 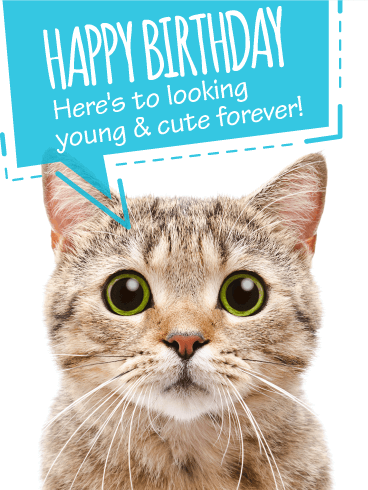 Use the silly cat and funny message to send your birthday wishes today! 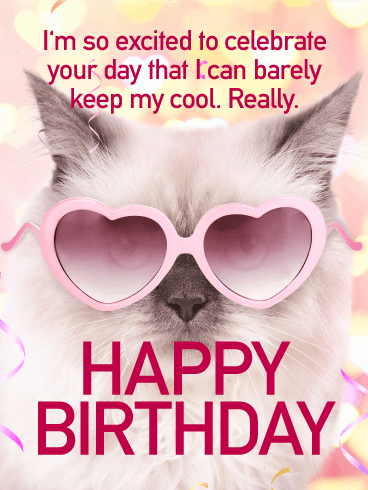 If you're looking to get a chuckle out of the birthday boy or girl, this is the perfect card for you. 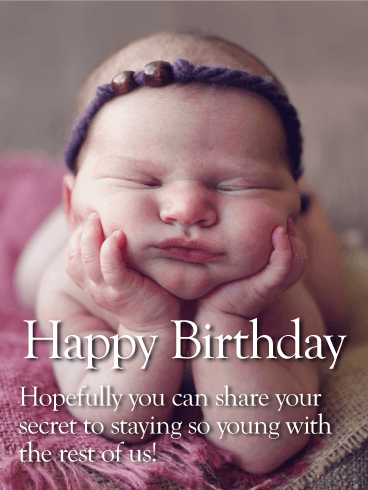 On first look, it seems like a birthday card for a first birthday or christening, but it's really just a big joke about staying young. This is definitely a one-of-a-kind card! Bonus: you can make a joke about being old enough to need naps, just like babies do!